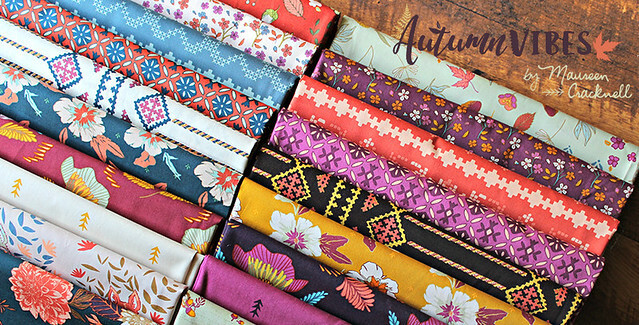 AUTUMN VIBES by Maureen Cracknell for Art Gallery Fabric -- AVAILABLE NOW! ~ For wholesale information please contact Art Gallery Fabrics. 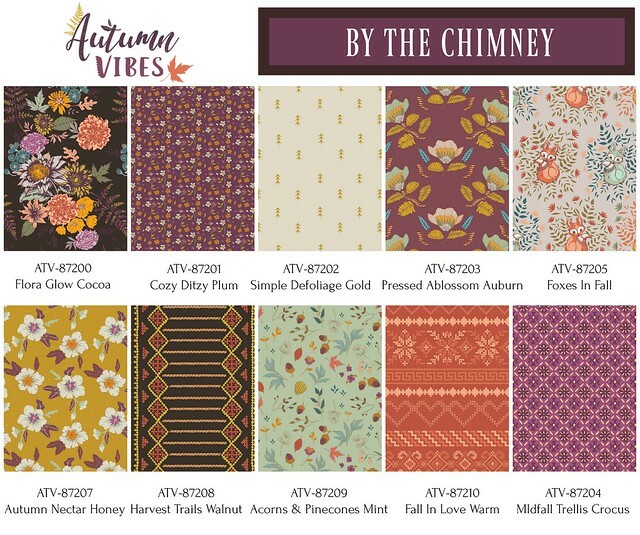 If you're a shop carrying Autumn Vibes, please let me know so I can add your shop to the list below! 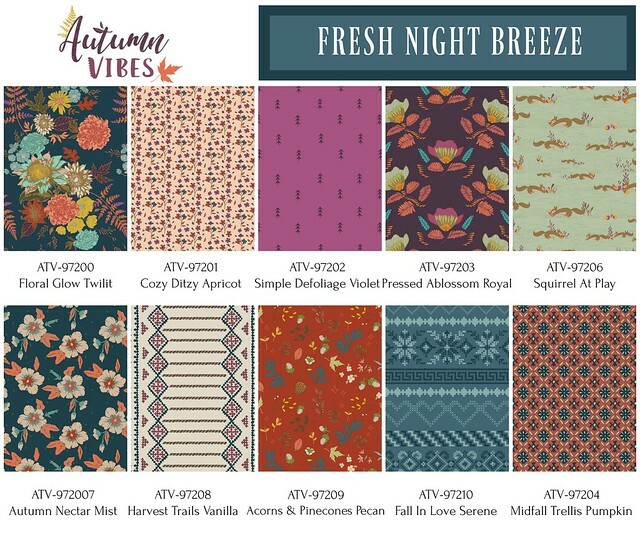 ~ Make sure to tag your Instagram posts with the #AutumnVibesFabrics collection hashtag! 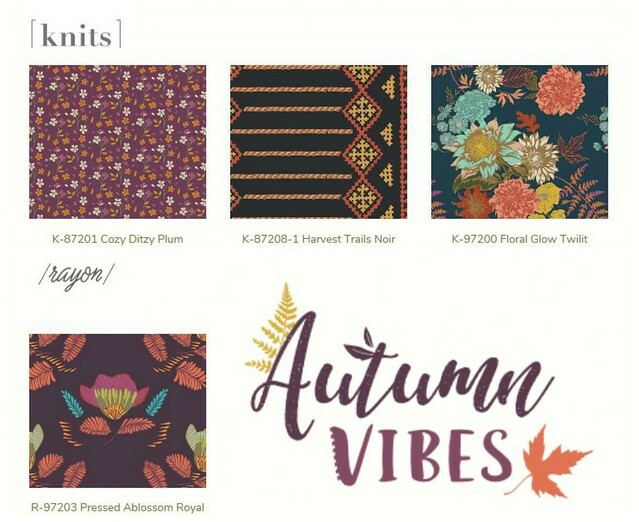 ~ For my blog posts about Autumn Vibes and for my own projects featuring Autumn Vibes fabrics visit HERE! 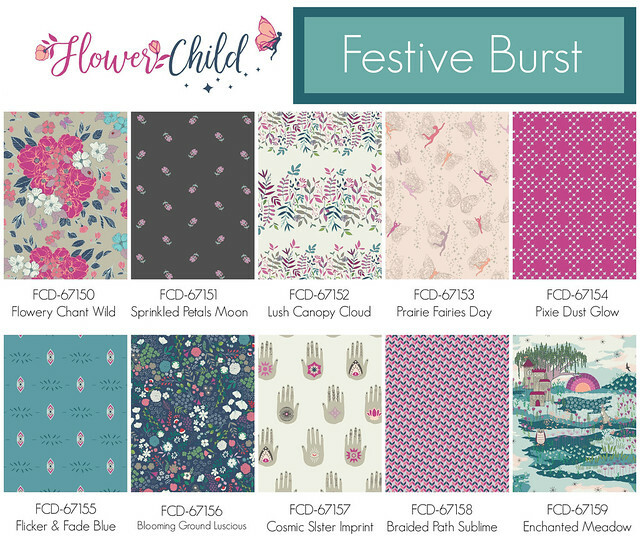 FLOWER CHILD by Maureen Cracknell for Art Gallery Fabrics -- AVAILABLE NOW! ~ For wholesale information please contact Art Gallery Fabrics. If you're a shop carrying Flower Child, please let me know so I can add your shop to the list below! 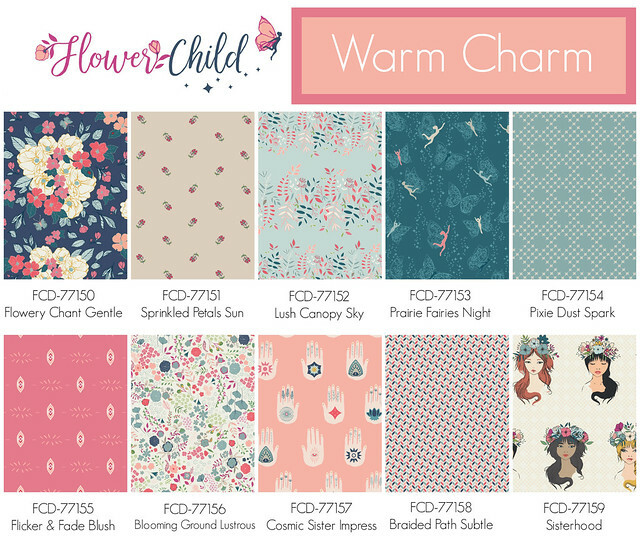 ~ Make sure to tag your Instagram posts with the #FlowerChildFabrics collection hashtag! ~ For my blog posts about Flower Child and for my own projects featuring Flower Child fabrics visit HERE! 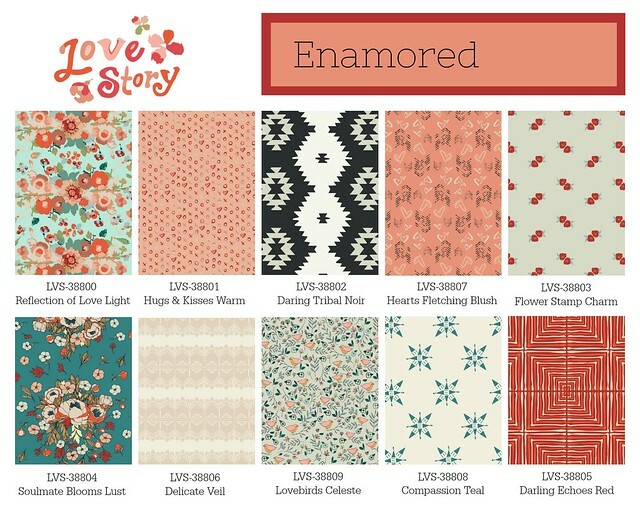 LOVE STORY by Maureen Cracknell for Art Gallery Fabrics -- AVAILABLE NOW! ~ For wholesale information please contact Art Gallery Fabrics. If you're a shop carrying Love Story, please let me know so I can add your shop to the list below! 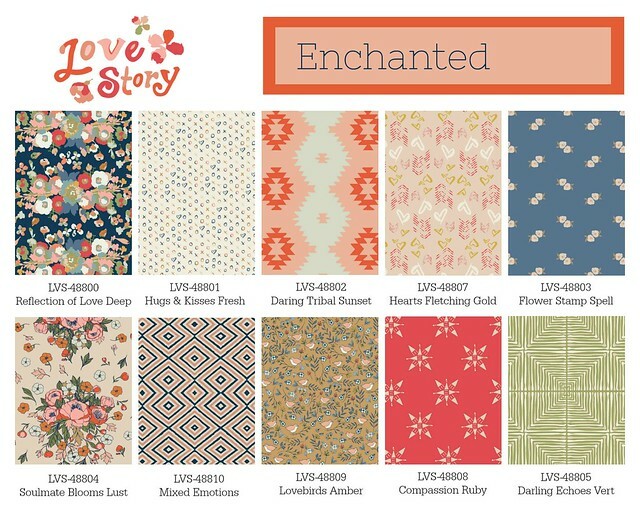 ~ Make sure to tag your Instagram posts with the #LoveStoryFabrics hashtag! 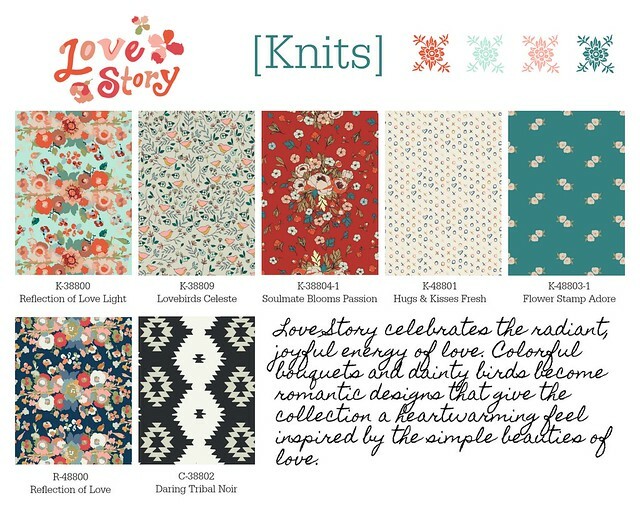 ~ For my blog posts about Love Story and for my own projects featuring Love Story fabrics visit HERE! ~ For wholesale information please contact Art Gallery Fabrics. If you're a shop carrying WOODLANDS Fusions, please let me know so I can add your shop to the list below! 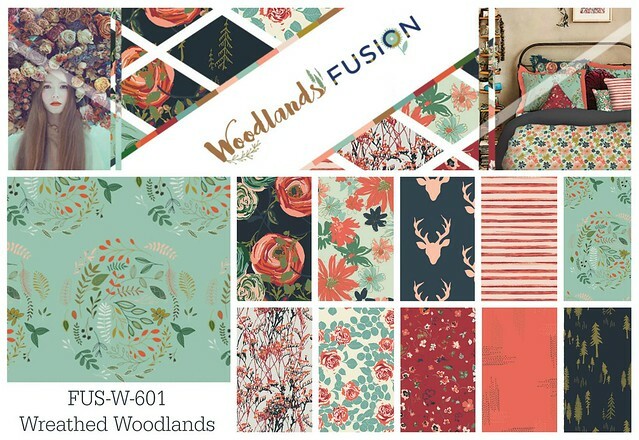 ~ Make sure to tag your Instagram posts with the #WOODLANDSfusionfabrics & #ArtGalleryFabrics hashtags! ~ For my blog posts about WOODLANDS Fusions and for my own projects featuring WOODLANDS Fusions visit HERE! ~ For wholesale information please contact Art Gallery Fabrics. If you're a shop carrying BACHELORETTE Fusions, please let me know so I can add your shop to the list below! 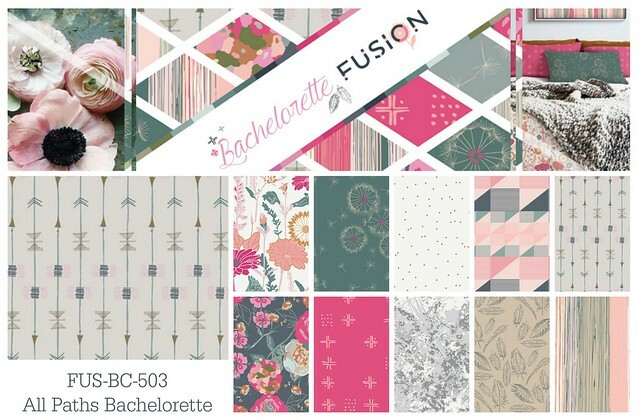 ~ Make sure to tag your Instagram posts with the #BACHELORETTEfusionfabrics & #ArtGalleryFabrics hashtags! ~ For my blog posts about BACHELORETTE Fusions and for my own projects featuring BACHELORETTE Fusions visit HERE! ~ For wholesale information please contact Art Gallery Fabrics. 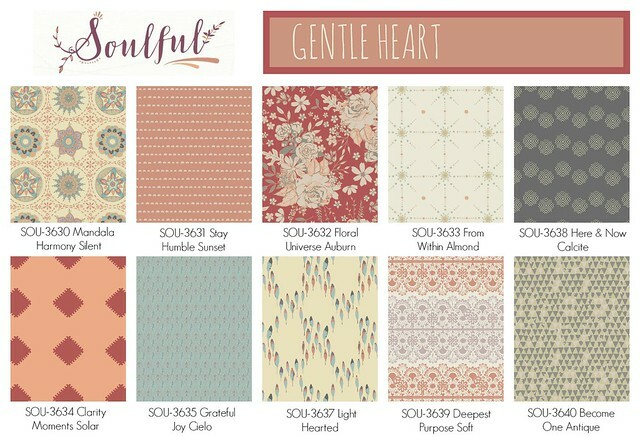 If you're a shop carrying Soulful, please let me know so I can add your shop to the list below! 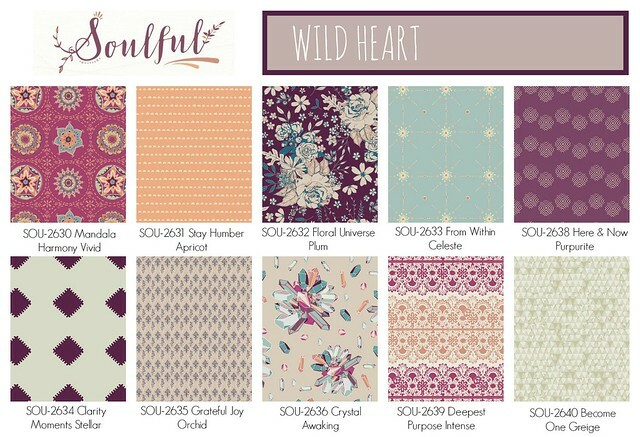 ~ Make sure to tag your Instagram posts with the #SoulfulFabrics hashtag! 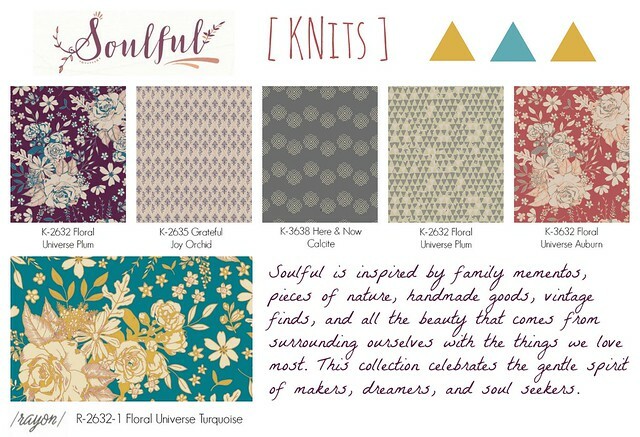 ~ For my blog posts about Soulful and for my own projects featuring Soulful fabrics visit HERE! 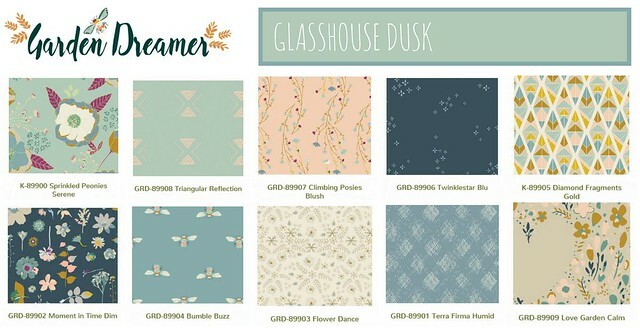 AGF's debut line of FUSIONS includes four bite size collections featuring prints from all AGF designers arranged in conceptual themes ~ Abloom, Boho, Ethereal, and Joyful! 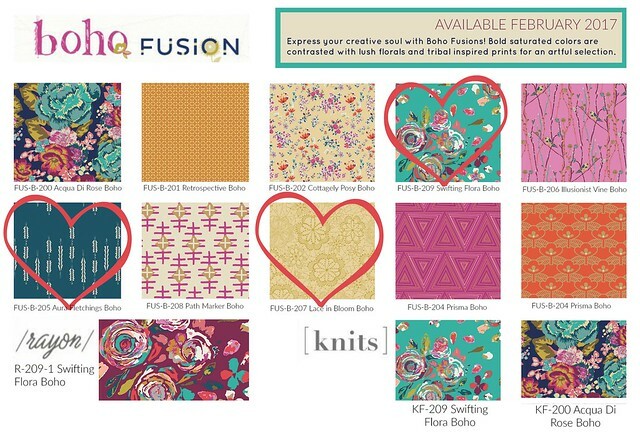 I'm so thrilled to have three of my most popular prints from Fleet & Flourish recolored to offer amongst the BOHO& Fusions group in the form of three new quilting cottons, a new knit, and one as Art Gallery's newest substrate, the most luxurious rayon! ~ For wholesale information please contact Art Gallery Fabrics. If you're a shop carrying BOHO Fusions, please let me know so I can add your shop to the list below! ~ Make sure to tag your Instagram posts with the #BOHOfusionfabrics & #ArtGalleryFabrics hashtags! ~ For my blog posts about BOHO Fusions and for my own projects featuring BOHO Fusions visit HERE! ~ For wholesale information please contact Art Gallery Fabrics. 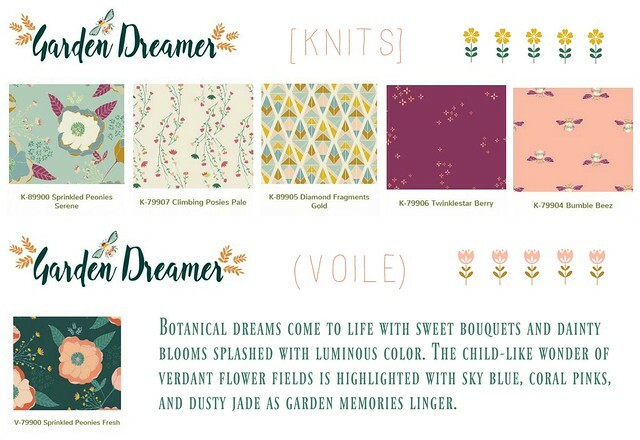 If you're a shop carrying Garden Dreamer, please let me know so I can add your shop to the list below! 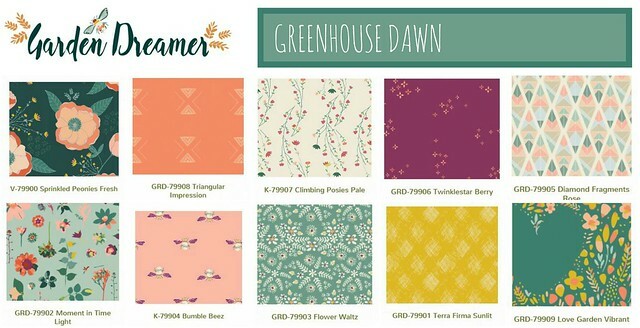 ~ Make sure to tag your Instagram posts with the #GardenDreamerFabrics hashtag! ~ For my blog posts about Garden Dreamer and for my own projects featuring Garden Dreamer visit HERE! ~ For wholesale information, please contact Art Gallery Fabrics. If you're a shop carrying Nightfall, please let me know so I can add your shop to the list below! ~ Make sure to tag your Instagram posts with the #nightfallfabrics hashtag! ~ For my blog posts about Nightfall and for my own projects featuring Nightfall visit HERE! ~ For wholesale information, please contact Art Gallery Fabrics. If you're a shop carrying Fleet & Flourish, please let me know so I can add your shop to the list below! ~ Make sure to tag your Instagram posts with the #fleetandflourishfabrics hashtag! ~ For my blog posts about Fleet & Flourish and for my own projects featuring Fleet & Flourish visit HERE! Set free the creative explorer within. To be Wild & Free is to let your hair down, kick off your shoes, and lose yourself in an adventure close to home. An indigo night sky and cinnamon earth are highlighted with patterns that are organic and robust. ~ For wholesale information, please contact Art Gallery Fabrics. If you're a shop carrying Wild & Free, please let me know so I can add your shop to the list below! ~ Make sure to tag your Instagram posts with the #wildandfreefabric hashtag! ~ For my blog posts about Wild & Free and for my own projects featuring Wild & Free visit HERE!